The essence of this message is heritage which for the older banking customers will resonate – it’s outlined a clear strategy of going back to the values and the roots which resonated when it was established. For the younger customer, this might not be enough. We know from previous research that when it comes to financial institutions, heritage is far less important than delivering the online customer experience and when this has been damaged, they are more than willing to switch within a category that most people don’t. The advertisement talks a lot about trust, which has been lost, but we’re not sure it will connect with all the demographics. And do we want to be reminded of a cowboy past for a company creating fake customer accounts? Seems like that was a cowboy type of mood in the Wild Wild West. Facebook attempts to go back to the core principle of the business and position themselves as the destination where you make friends and strengthen relationships with those in your community. But we now know that Facebook isn’t our friend – it might have been in the early days but Facebook is now a global entity that houses too much of our personal data. The ad might promise that it will keep users safe and protect privacy but there’s no outline of how and when that’s going to happen. In some ways, it’s Facebook being Facebook all over again. Uber tackles one problem upfront by using the new CEO, which immediately helps reinforce the fact that changes have been made. In some ways, their apology needs to be more convincing – we might claim to join the #DeleteFacebook movement but they operate in a more monopolistic environment whereas Uber needs to contend with Lyft and other ride sharing services. They outline the steps they taking without going into the detail and while Julia Gilliard might not like the tagline ‘moving forward’, it’s a great fit for the brand and their brand mission. The most convincing of the three apologies. 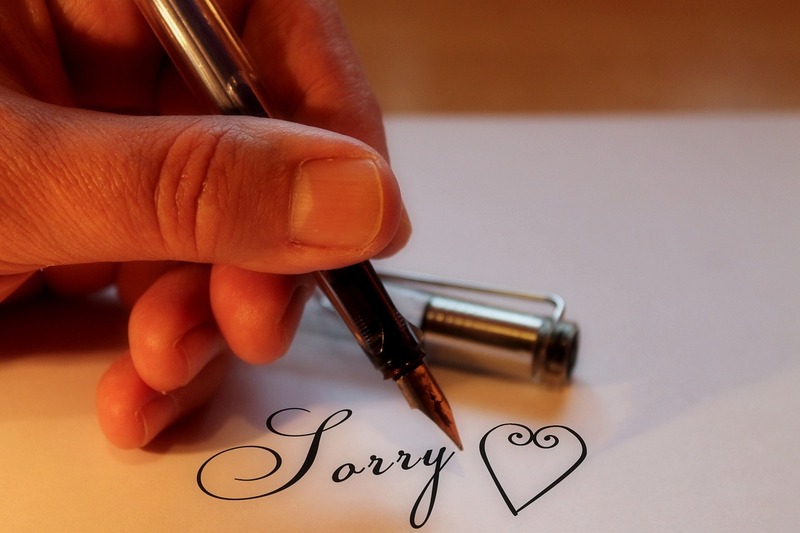 Is it too late to say sorry – perhaps not. Staying in the US, when Coke made the decision to change the recipe and launch New Coke (the classic marketing case study), it took 77 days before the President finally apologised for the decision. So whether or not the brands regain the consumer trust, we wait and see but it comes down to rebuilding the trust and reminding what the functional and emotional benefits each brand delivered to its customers.